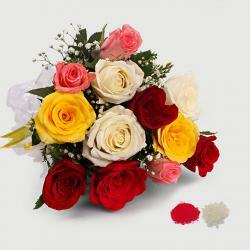 Product Consists : Bouquet of 22 Mix Roses along with Free Roli Chawal. This is a very beautiful gift if you want your dear ones to stay blessed always. This is a hamper that is full of piousness and happiness. 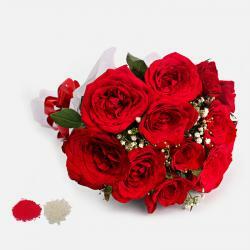 The Mix Roses Bouquet is the perferct combination to gift. 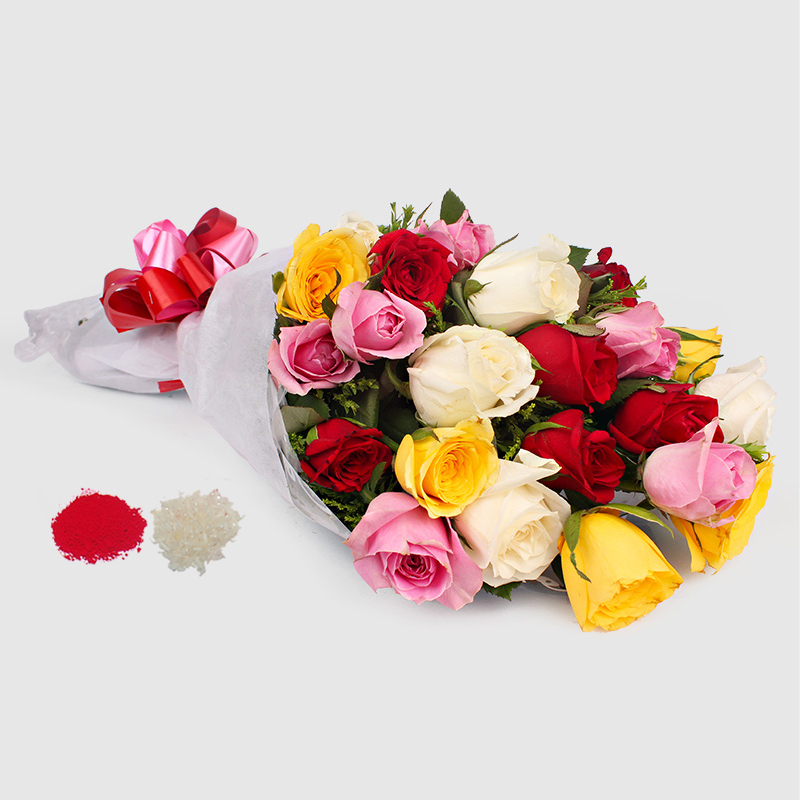 This gift contains a bunch of mix roses vibrant and supremely vivacious Bouquet. 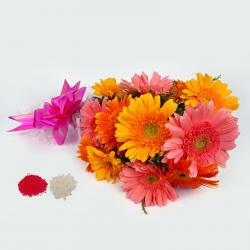 This pack will please you with its brightness and beauty alone. 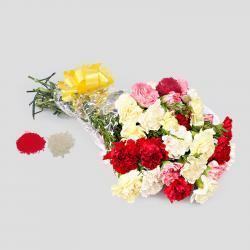 This pack also comes with immaculate cellophane packing for added effect coupled with a super cute matching ribbon bow for company This comes with a Roli Chawal which complete the ocassion of Bhaidooj. Product Consists : Bouquet of 22 Mix Roses along with Free Roli Chawal.